What is your biggest accomplishment? Mine was running my first marathon, at one of the most prestigious races - the 2013 NYC Marathon. I had no idea how fortunate I was when my name was drawn at the 2013 lottery. I had to hear over and over again how "lucky" I was, while others questioned if my blog helped (that made me laugh as I am, nor will ever be that big of a blogger). While I know luck was involved, I really felt like it was meant to be my first. I signed up for the lottery with a lot of wine educed encouragement from my friend Darlynn. 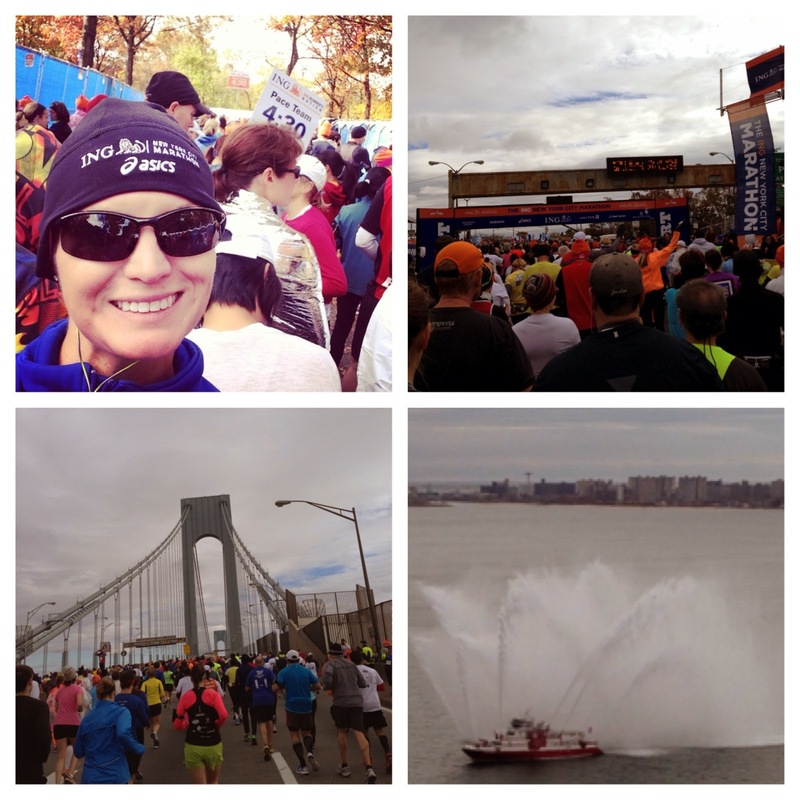 Two months later, I received the notification that I would be running running the 2013 NYC Marathon. A few months after that, I crossed the finish line in Central Park, to become a marathoner in my favorite city. It was an amazing cold and wet day. Coming across the Queensboro bridge into Manhattan to find a sea of thousands of spectators was the most amazing experience of my life - regardless of how tired I was at mile 16 after crossing very high bridges. I smiled the entire time and I would never trade that experience. It is my dream to run NYC again and one day, I hope to run it with my future husband and/or best friend. For those who wish to run NYC and didn't get in this year, here is your chance. 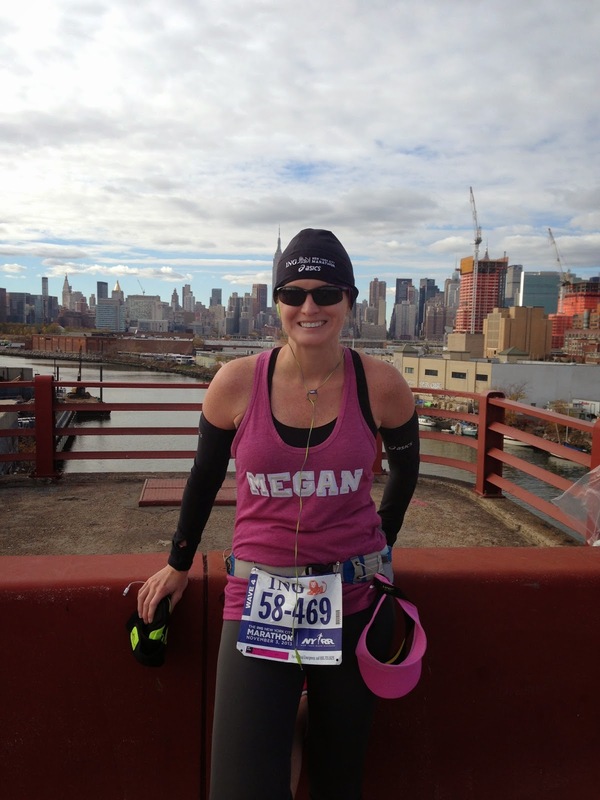 Asics is hosting an amazing contest, giving away two official entries into the 2014 TCS New York City Marathon along with an ASICS gift pack valued at $500 to each winner. 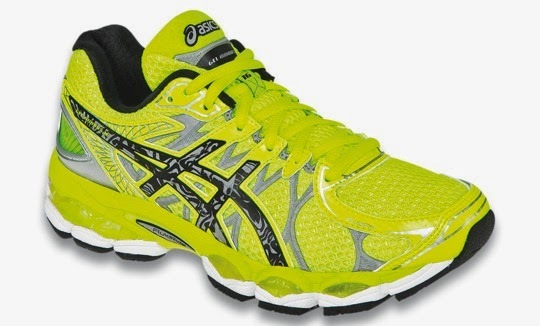 Speaking of Asics gear, I just received the Asics Gel Nimbus 16 Lite Show for review (they glow in the dark!). I am looking forward to reporting back on them in a few weeks! Two lucky individuals will each win one official entry into the 2014 TCS New York City Marathon. Winners will also receive an ASICS gift pack including ASICS shoes and apparel valued at $500 retail. The Sweepstakes beings at 12:00:01 AM ET on Sunday July 13, 2014 and ends at 11:59:59 PM ET on Friday August 1, 2014. Be sure and share with your running partner because two winners are going to win. Click here to enter the contest and best of luck!